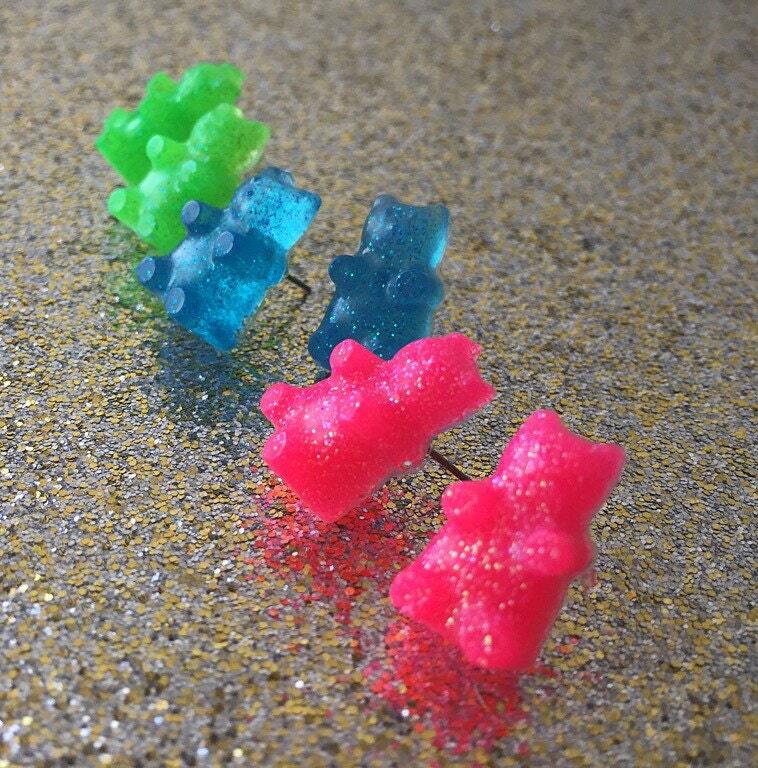 These gummy bear earrings have glitter added to them to make them extra Kawaii and fun! 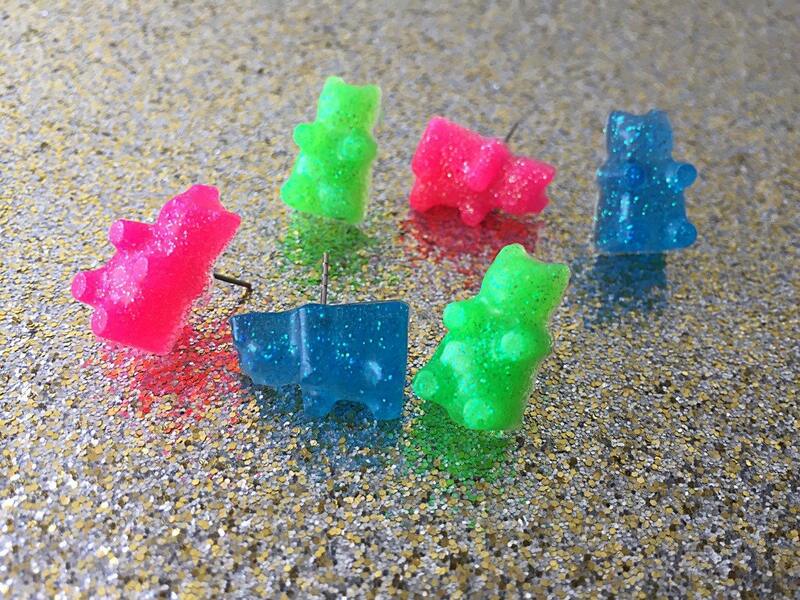 These little gummy bears are handmade using epoxy resin & dye! 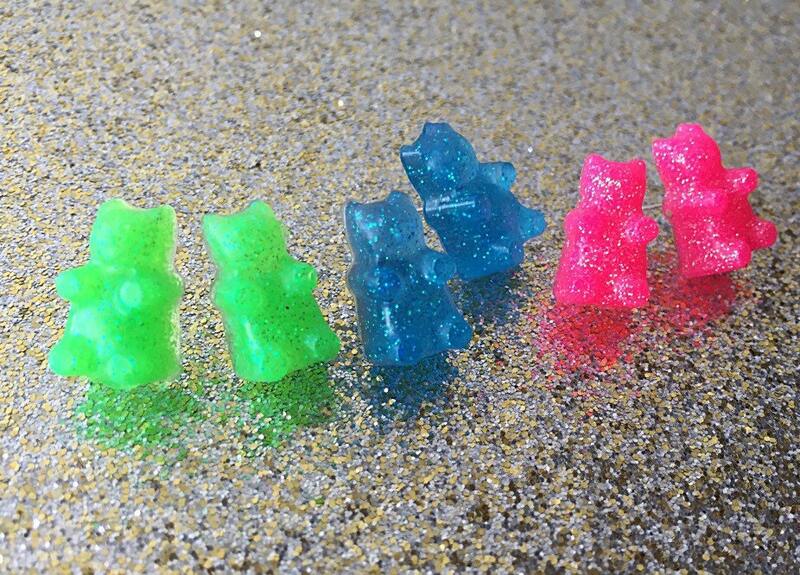 They are poured into a silicone mold and left to cure for 24+ hours! 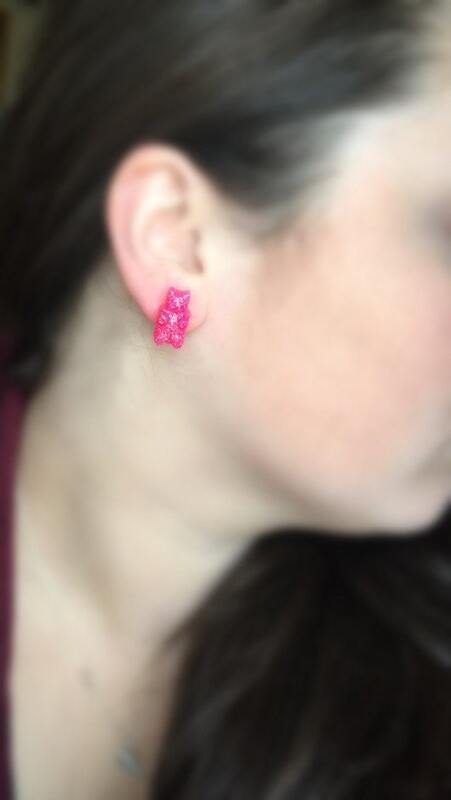 These are MADE TO ORDER 3-5 days! I am currently working on making different colors! 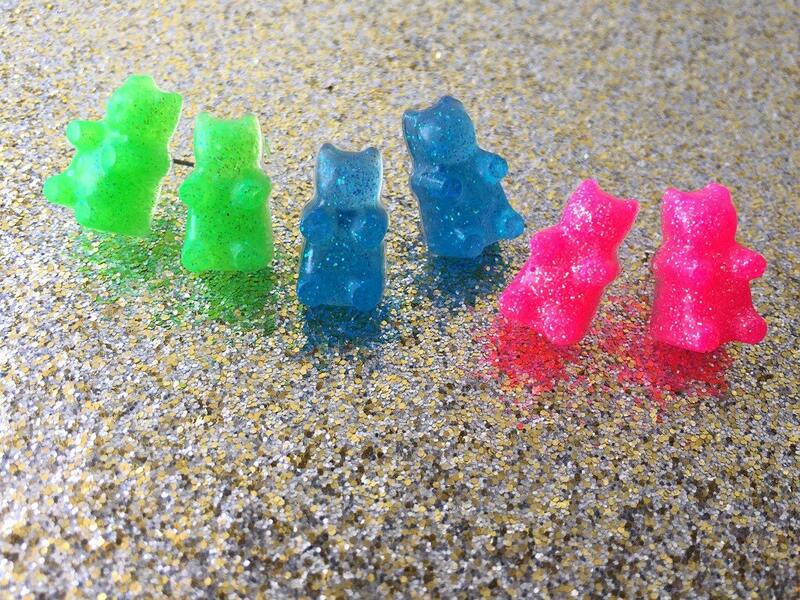 The available colors are Pink, Green, & Blue! If you have any other questions please message me!